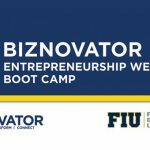 This program is specifically designed to bring value to the “employee family unit” through a unique Employee Incentive Program (EIP). As corporations know all too well, there is no more valuable asset than your human capital that has been developed and nurtured within your company. 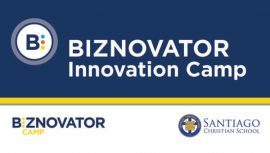 BIZNOVATOR recognizes the gaps that exist within traditional corporations and their ability to maintain and grow their best employees. We understand the need for more programs that are focused on the entire “employee family unit” and how this approach builds strong loyalty and higher employee retention rates. In addition, we understand that the generation gap between Gen Z, Millennials and Gen X are significant. It is imperative for corporations to become more mindful and committed to developing the next generation workforce at an even younger age while bringing tremendous value to your employees families. 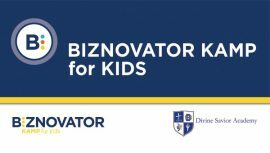 Given this backdrop, BIZNOVATOR has developed the BIZNOVATOR EIP program specifically designed to empower the employees children between ages 8-20. We bring our world class programs to your corporation for your employees children to become empowered in the principles of entrepreneurship, social innovation and leadership. Our programs are customizable to meet a corporations specific needs and are developed in collaboration with our partners. Juan Pablo Casimiro discovered his passion when he began empowering and teaching youth in 1987 when HE became an educator and mentor in New York City’s Public Schools system. 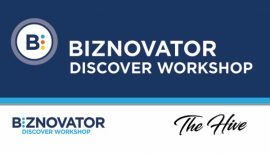 As Founder / CEO of BIZNOVATOR and now with 30+ years of experience as an entrepreneur, educator, coach and social innovator, Casimiro specializes in building individual and organizational strength from within. Veronica Mendieta-Canaday is the Co-Founder of Americas Franchising Group(AFG). Prior to starting AFG, she worked as a top producing Loan Consultant is Seattle, WA. She assisted more than 500 Hispanic families with the purchase of their home and helped pioneer the home ownership movement for Hispanic Americans in the Pacific Northwest. Throughout this process she was instrumental in developing and building the bridge between this rapidly growing demographic segment. Ruth Baez is an experienced Graphic Designer with a BA in Advertising Communication. Some of her many specialties include certifications in Business Internal Communications and Creative Problem Solving from the Creative Education Foundation, as well as a consultancy in the “Lean Startup” Entrepreneurship Methodology. Erika Greenawalt, a Content Developer and Business Relationship Expert, has more than 10 years helping businesses grow. Adding to her experiences, Erika also holds a BA in Advertising Communications of which she regularly applies when services her clients.